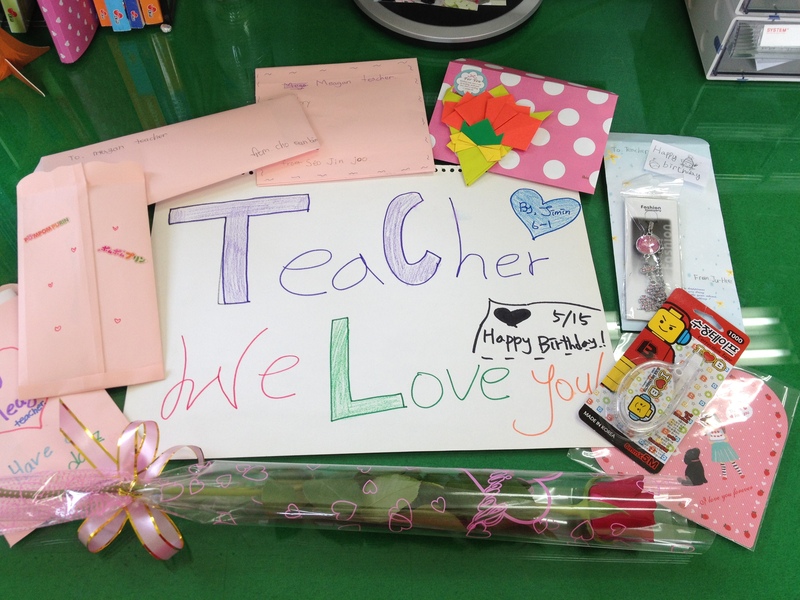 May 15th is Teacher’s Day in Korea and it’s also my birthday. Double yay! My day was truly amazing. 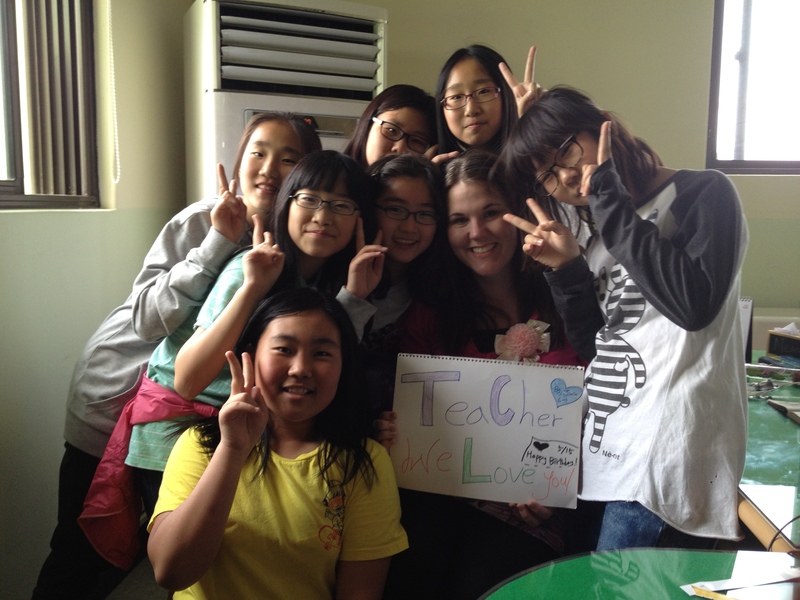 The students were really sweet. I got lots of letters from students and at lunch time, this group of girls surprised me in my office with a poster and they sang happy birthday to me. My heart was so full all day. After school, Dave picked me up from school. 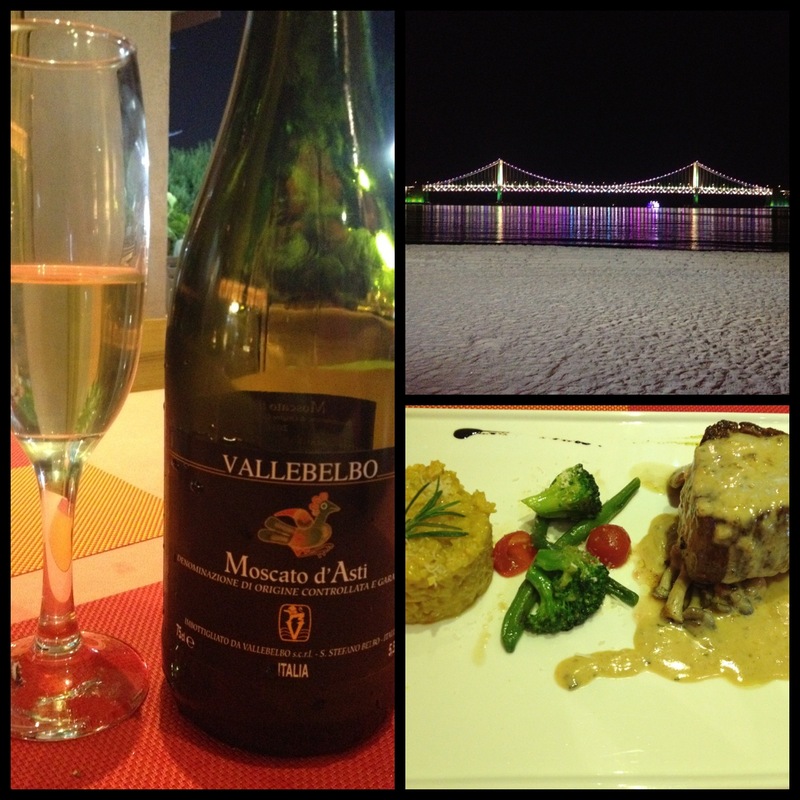 We had dinner near the beach. Dinner was fantastic. I am one lucky girl.